Content creation strategy is no different from anything else; there’s always going to be an attraction to new and trendy ideas. New technologies, the latest and greatest software solutions, and miracle widgets appear almost daily. And they all promise convenience and spectacular conversion rates. 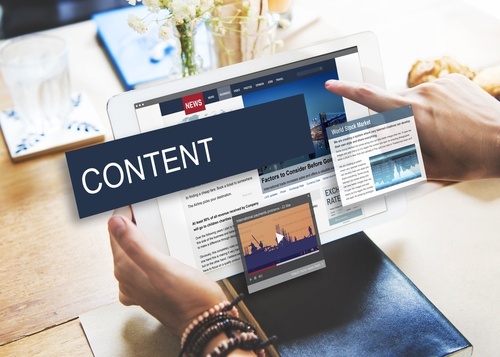 Shiny objects are tempting but can also hold you back from devising a content creation strategy that supports your goals. What latest trend have you been hearing about ad nauseum? Not so long ago, ABM was everywhere you looked. Virtual reality and AI now dominate the discussion. Live streaming and influencer marketing campaigns are close behind. It’s not that any of these things are inherently bad, and many of them are here for the long term. But they can get in the way of marketers establishing a solid content creation strategy that demonstrates real value. So, before going all in on the latest trends (and there are promising ones), here are the basics you should still focus on first. Look! A Content Creation Strategy! Quality content remains the future of online marketing success. Yes, digital “magic” tricks will continue to influence results, but the only proven way to win the content game is to supply what your audience is demanding. Define it. More than a third of marketers report they have no documented content creation strategy. But a verbal strategy won’t work in most cases for the simple reason that content marketing is a long-term endeavor. But for an exceptional few, no one can consistently implement a plan without something to go back and refer to. This should not focus on sales. It should be about creating content that has a purpose and is of value to your audience. What are people searching for that brings them to your site? Start there, and it will be easier to organize your content and deliver a consistent message that draws people in. Great content brings in more than customers. You want customers who become ambassadors for your brand. Your content should be designed to inspire people to buy into your brand’s mission and vision. Do this by focusing on the core problems your audience has. There’s a lot of chatter out there. Your best competitive advantage can come from choosing one key trait that sets you apart from the rest and then running with it. Whether it’s the type of content you produce, the humor you employ, or the method of delivery, give people something different that they come to expect and appreciate. What percentage of traffic growth do you hope to realize? How about your email list? Set specific numbers, and as you create your content, ask yourself if it will help you hit them. A strong content development strategy is a good foundation. Once yours is built, you can start to think about how to use the latest trends to thrive in an ever-changing content marketing landscape. Most experts agree that these will be the ones to keep your eye on this year. A good content marketing plan is moving beyond blog ideas and embracing new formats that the audience is using. Videos (including live), graphics, and multiple platforms will all need to be integrated into campaigns. Voice first devices will continue to allow people to access content off-screen. Highly-targeted content that goes beyond engagement is an exciting new frontier. Social media will affect how paid, owned, and earned media influence content. A documented content creation strategy protects you from changing your approach every time a new shiny object appears. It helps you stay focused on what your mission is and how you’re going to best serve your customers, both crucial to the long-term success of your campaigns. Together with the right tools, shiny or not, a strong content creation strategy helps you expand your brand’s reach and boost its growth. To learn more, check out our white paper, "What is an Online Content Strategy? And Why You Need One!"